Think about a drumbeat. In a band, it establishes a rhythm and keeps everyone on track. Up until the late 19th century, a battlefield drummer wasn’t just there to bolster morale – they were an important part of the communication system. In the same sense, your marketing drumbeat keeps your business moving forward and lets the world know you’re there. We’re talking about the basics of internet marketing. There’s a minimum level of action a business should engage in to maintain their marketing drumbeat. Let’s go through the essentials and how they’re beneficial (and necessary) for the growth of your business. If you haven’t already done so, make sure you list your business with Google and Bing. If you want your business to show up in search results, this is an absolute must. It’s also incredibly beneficial for local businesses, as your business (and address) will appear in local search rankings. If you would like assistance in getting your business verified, please let us know and we’ll get you started! Social Media – Get Interactive! These will not only help build links (super important for SEO) – but you’ll also establish your company’s persona and voice. Consistency is key here – post regularly! Maintain your digital presence. You might even want to consider having someone in your company take ownership of your social media campaign. Someone of the same mind who is invested in your brand can work miracles for getting your name out there. For more information on social media marketing, check out this guide from Search Engine Land. Keeping a list of email addresses from your clients/customers is crucial for communication. If you’ve got something to promote, plan your email marketing strategy. You may also want to consider setting up a drip marketing campaign. Make sure your email list is built with permission marketing contacts. Write as if you’re writing a letter to one person. Be personable, not a robot. Make it fun. Throw in a quote or an interesting fact. Make the email offer up some kind of reward. Finally, make sure your email is worthwhile. If you don’t have something engaging and read-worthy, come up with a plan. This list can go on and on. If you’re interested in sharpening your email marketing game, check out this great article from Copyblogger. 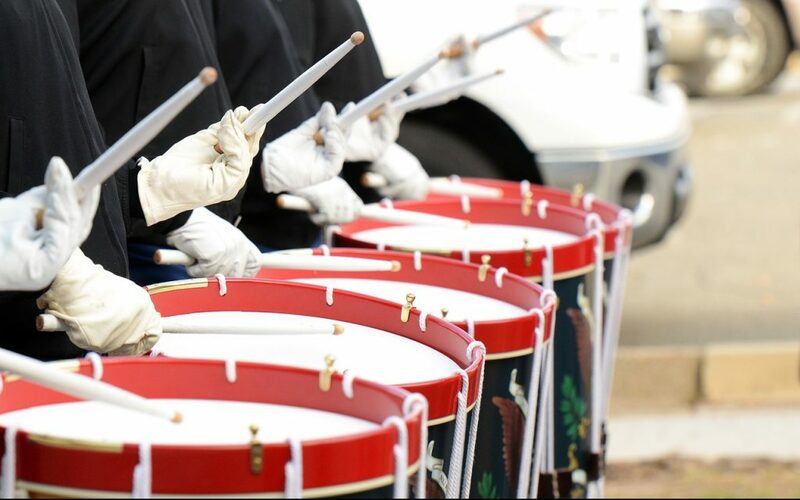 Your marketing drumbeat should be loud and proud – and frequent! Once you’ve followed through with these items and practice them regularly, it’s not marketing. It’s protocol. If you really want to get into the nitty-gritty, focus on targeted keywords and up your SEO game. Dive into social media – engage in conversations, share posts/tweets and interact with people. Consistency and relevancy is key to maintaining your brand exposure and presence. With these things in mind, get out there and make some noise! If you own a business and want to increase your exposure, we’d love to have a chat. Give us a call today at (865) 291-0005!